FO Friday | The Last Two Projects. Here’s the first. It’s the Bunkie Baby Blanket that I knit for Charlie. Finished in a mad rush last week…just three days before he was born. I still hope to get some artful photos – goodness knows both he and the blanket are photogenic – but for now, this one makes me smile (and I’m glad Katie had the idea to run back down and then back up the stairs to retrieve it for this photo). A SPARK member is someone who is excited about all aspects of knitting–the process, the finished product, and the community. If she (or he!) knits something, everyone wants to knit it. 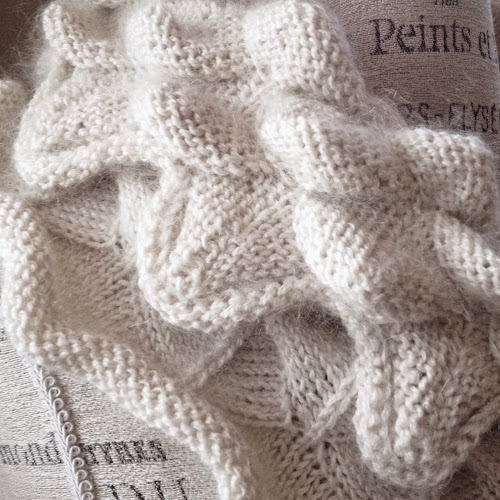 I cast on a week later and knit a few rounds, but then the project languished. I admit (and I told Shibui) the pattern didn’t thrill me. 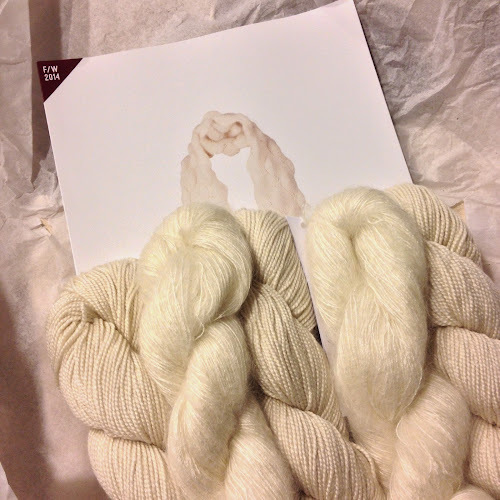 But the yarn mix is yummy and I picked it back up once I finished Cepa over Labor Day weekend. Back when I started the pattern, I modified the M1s to be yarn overs and then knit through the back loop on the following round. The resulting texture wasn’t nearly as cool as what I saw in the other FOs so I spent the first part of that Labor Day restarting… much happier simply following the pattern. 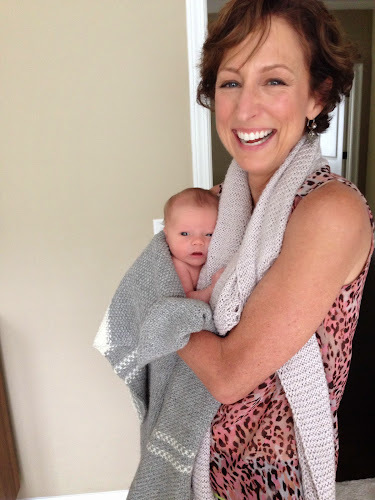 And then I finished the blanket (and started Lindsay) and welcomed Charlie. This project was perfect hospital knitting. I’m not gonna lie – I messed it up a few times, but I’m pretty good at dropping down and picking up to fix my boo-boo’s. I finished the knitting and wove in and buried the ends at knitting today. All that’s left is the blocking. For sure it needs a steam. And I came *this close* to dumping it into a wet soak to soften the texture. But then I took these photos and I think, maybe I like it as is. We’ll see. So… all that’s left from that week is a second sock. Which I am determined to finish. and then it’s all Cast-on City. I’m not sure I have five projects to share so it won’t be all week…but it’s gonna be close! Have you been surprised by an FO? or maybe simply delighted by one? Wishing everyone a happy weekend full of fallish goodness. and knitting! I love that cowl pattern, the texture is awesome. And of course, BABY! YAY! Love your smile, the blanket, and that sweet little face. 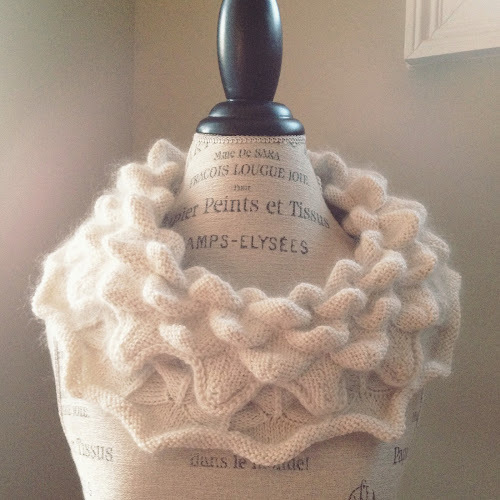 The cowl is very cool and the texture marvelous. Susan (the designer) is a friend of mine! That baby looks lovely on you! And the cowl is very cool! I'm soooo close to finishing that sweater, I thought about you and your excellent productivity this weekend, but the mojo wasn't enough. Tonight for certain! What a wonderful baby, blanket, and cowl! You are definitely a SPARKler! YOU look like the new Mommy! Beautiful photo. Love the cowl, too — looks so soft. Love every word in this post but especially the photos, in this order:#1 – Charlie and you! Priceless. #2-the cowl. So lovely! That bébé I looks so alert!! What a joy! Oh, everything is so wonderful! That cowl looks as soft as the baby!! What a superb photo of you and little Charlie … I am afraid the rest of your glorious knitting just didn't get a look-in in comparison! Your talents know no bounds :).